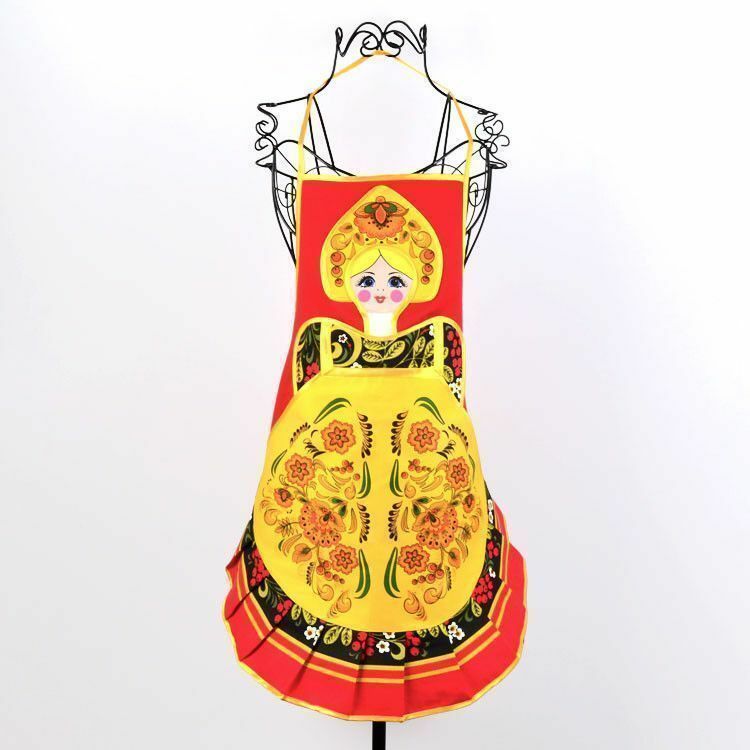 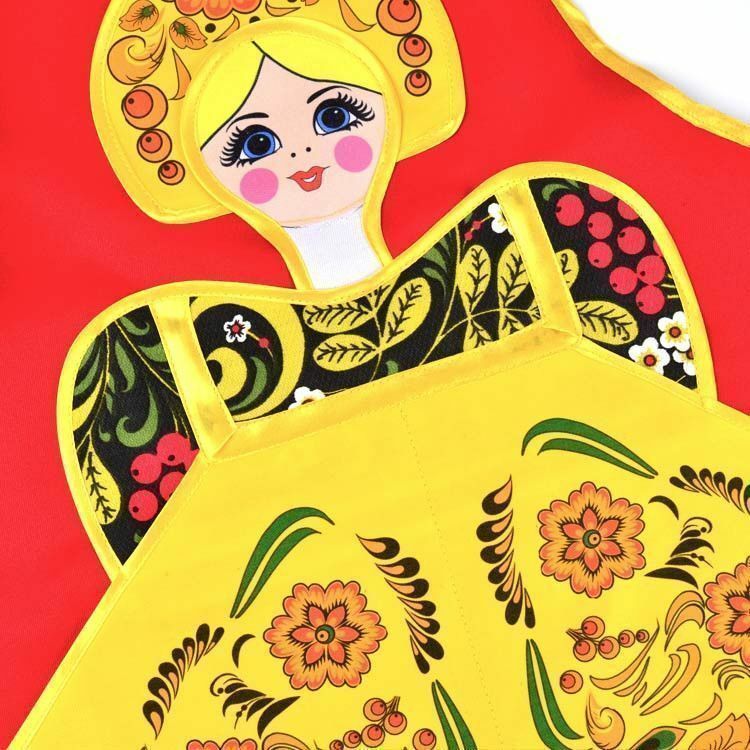 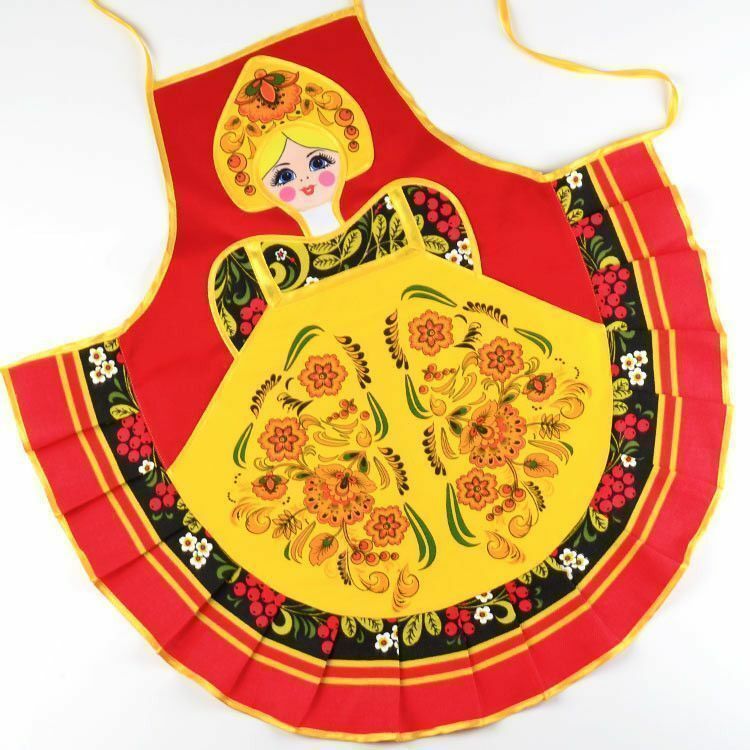 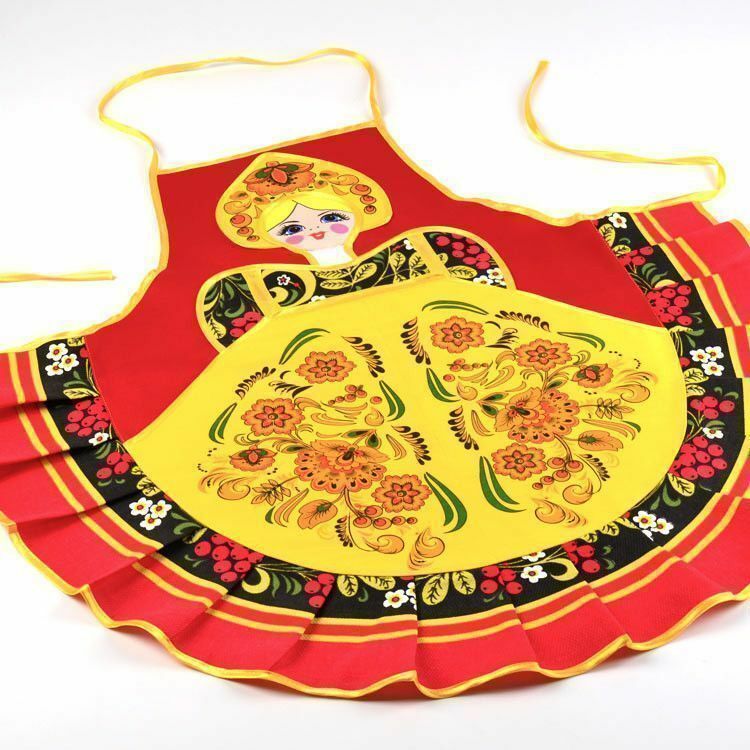 This adorable apron from Russia features a Khokhloma princess girl design with mainly red and yellow colors. 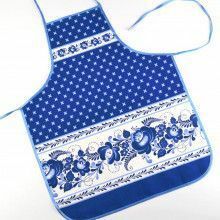 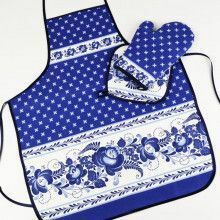 Two over-sized front pockets make cooking in the kitchen a little bit easier, while the ruffled bottom makes cooking in the kitchen a bit more fun and stylish! 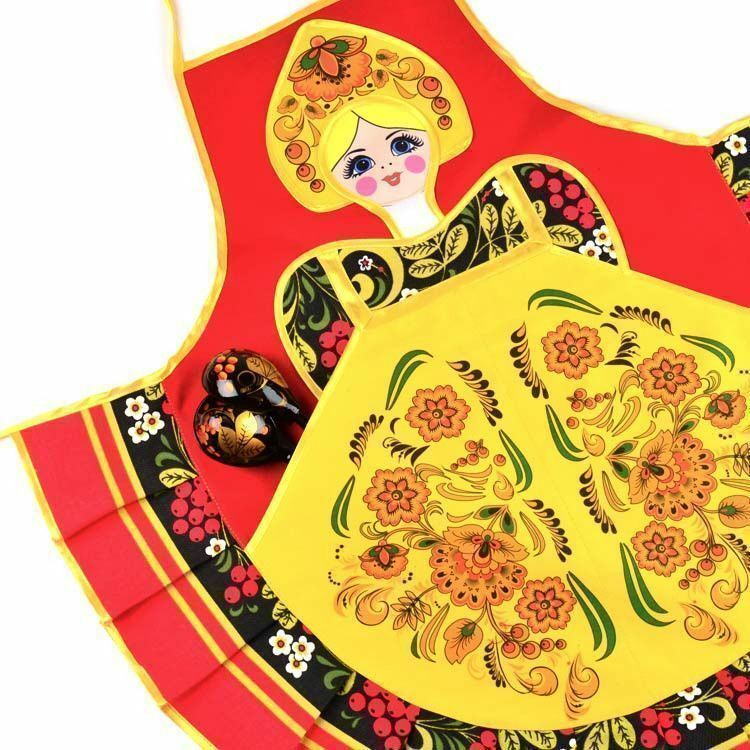 Approximately 28" long and about 28" wide (not including any of the strings).